What if hospitals and doctors could quietly bury their mistakes? This fascinating, best-selling novel tells you why they can't. Three young men from different backgrounds have graduated from medical schools and have become surgical fellows at a leading teaching hospital in Boston. They learn to become surgeons, to communicate with patients and families, and to be observed and appraised by their peers and professors on daily rounds. And each month - sometimes with dry mouth and rapid pulse - each attends the meeting of the Mortality Conference, known to all as the Death Committee, which examines every patient loss for possible human error, in order to prevent it from happening again. 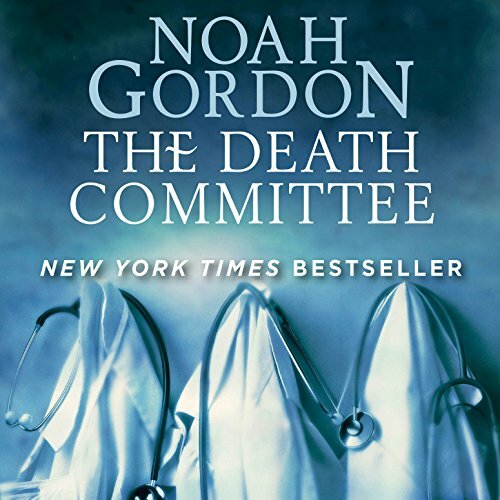 How the Death Committee affects and is affected by the lives, loves, and ambitions of three new doctors is the theme of this intriguing and profoundly moving novel. ©1969 Lise Gordon, Michael Seay Gordon and The Jamie Gordon Trust (P)2017 Audible, Inc. Listened all the way through waiting for something to happen. Death Committee is not developed and is a very short part of the story. Very disappointing. I would not recommend; a complete waste of time. I really enjoyed the Physicians trilogy, so I was looking forward to "reading" this one. Initially I rather enjoyed it, but then as it continued, I became more and more uninterested in finishing the book. I'd rather listen to something else.